Thanks to Ajay Pangarka for his provocative piece, “eLearning is Dead! Long Live Lean Learning!”1 As a 20-year practitioner of Information Communication Technology for Development (ICT4D), edtech and currently leading the international arm of Cell-Ed2, the notion of lean learning is an important one as we consider demands of real life, the job market, and learners needing 21st century skills. On the supply side, Pangarka’s comments on the value of elearning to business and needing to show efficiencies that “minimize costs and disruptions”3 are key, not only to business but to lever efficiencies for any sector where technology is applied to learning. As different technology platforms and models of use are applied to formal education, non-formal learning, corporate training, compliance training, health education, and more, the need for efficiencies are critical, especially when we consider disruptions to a small and micro business, to workers in the agriculture and other sectors where time away often results in loss of income. Using lean models to improve operations and processes is relevant to all business processes, including service industries such as education. 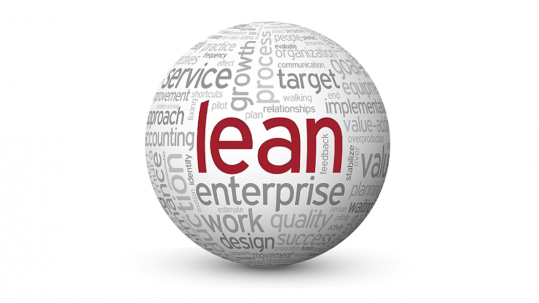 The notion of lean synchronisation is defined as achieving a “flow of products and services that delivers exactly what customers want, in exact quantities, exactly when needed, exactly where required, and at the lowest possible cost”4. If current eLearning models have not enabled the delivery of learning based on learner needs, when it is needed and overcoming any barriers to access learning, then perhaps elearning is, in fact, dead. At Cell-Ed, we have used the idea of lean learning in the construction of micro-modules for courses that are available on all types of phones (entry, feature and smart phones). In putting our courses together, we do not digitize the course’s print content, make it look ‘pretty’ and call this elearning. We have reconceptualised the approach to learning using mobile phones (voice, text and via our web-app, graphics & videos) and ensure the design methodology revolves around the needs of the learner, the benefit of mobile platforms and enabling learning at any time. Using micro-modules (short three-minute learning pieces), we construct courses as needed and change courses if we find needs have changed or learner feedback recommends changes to the focus and learning outcomes. All of these processes ensure we have a lean model for course development and delivery. This has certainly enabled Cell-Ed to offer customised courses and benefit from a live coaching model at a lower price. It has enabled the application of mlearning to different learning needs at competitive costs and delivering such courses with minimal disruption to the learner and her/his employer or to their business. The important outcome to “expect improving performance, not more effective learning”5 is also a key argument by Pangarka. It is the holy grail of education and training – does the course/training ensure better performance, increased productivity and contribution to society whether this is in the work-place, at home, in the community? Lean learning can most certainly contribute, but there is a range of other factors that need to be accounted for –including learner-centered, mobile first design – if we are to argue that lean learning alone offers value for money and does improve performance. Slack, N, Brandon-Jones, A. Johnston, R & Betts, A. 2015, Operations and Process Management – Principles and Practice for Strategic Impact. Pearson Education Limited, Harlow (UK).